The Epcot Flower & Garden Festival for 2010 is in full bloom and the results are spectacular. While touring in person today, I took pictures of the flowers and especially the topiaries. The Disney World horticultural staff has outdone themselves again. Each year they keep coming up with more and more impressive displays. This new topiary scene will greet you as you enter Epcot. 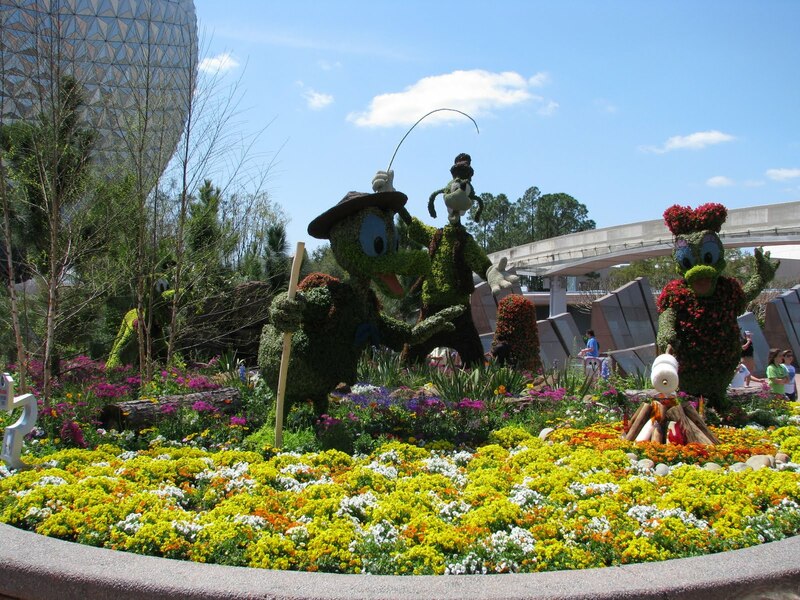 With the great outdoor theme, you have Goofy, Donald, Daisy, & Pluto in this wonderful camping tribute garden. 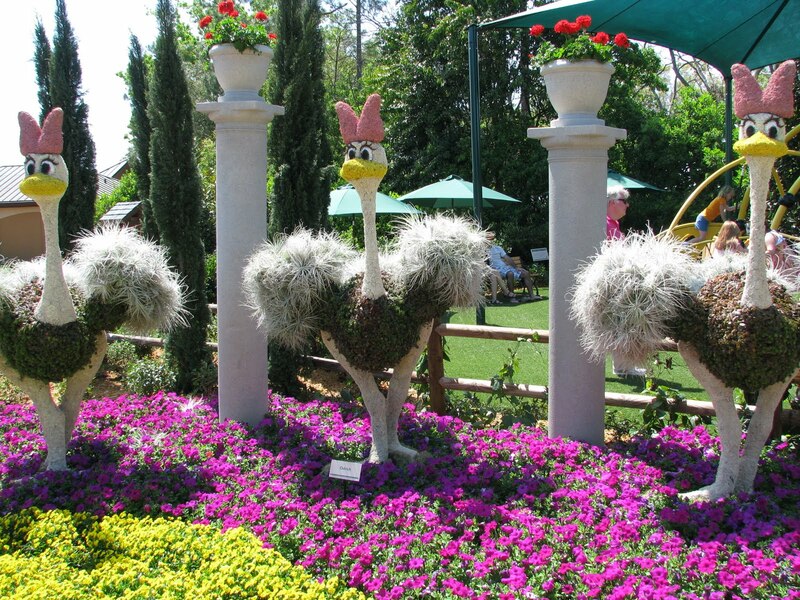 In this tribute to Fantasia, these ostriches stand tall in this colorful garden for the Let's Get Moving display. 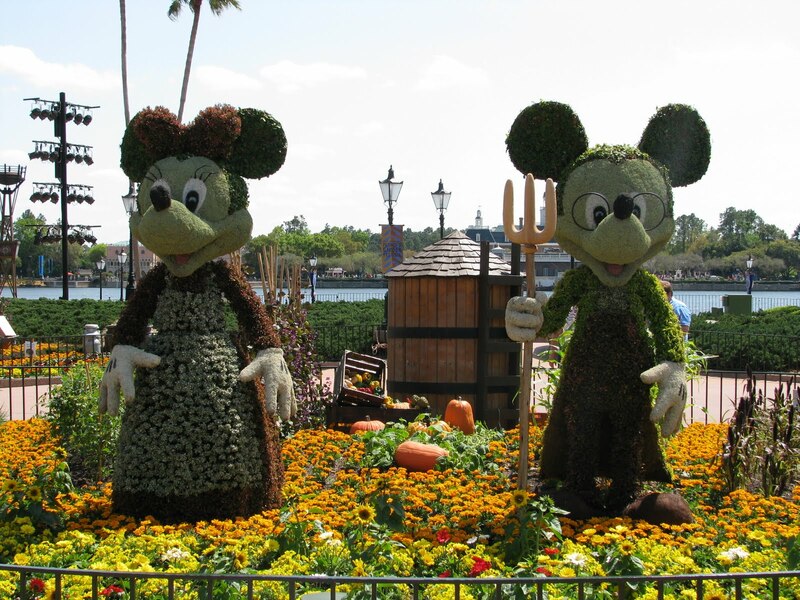 Mickey and Minnie are shown in this garden as a recreation of the famous painting American Gothic. You can find these topiaries and the entrance to the Epcot's World Showcase. In the China Pavilion you will find one of the most unique topiaries at this year's Flower & Garden Festival. 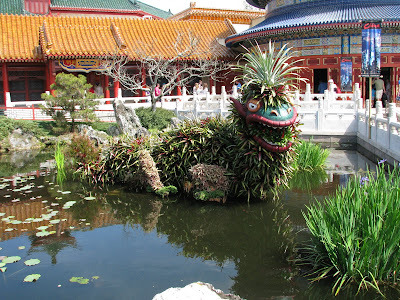 It is a chinese dragon made from Bromeliads. 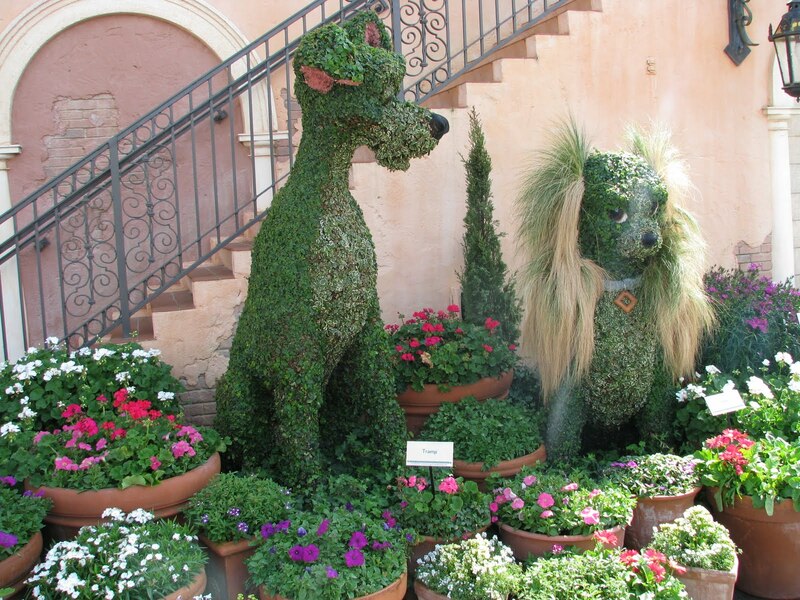 In the Italy Pavilion you will find Lady and the Tramp amidst a beautiful container garden. 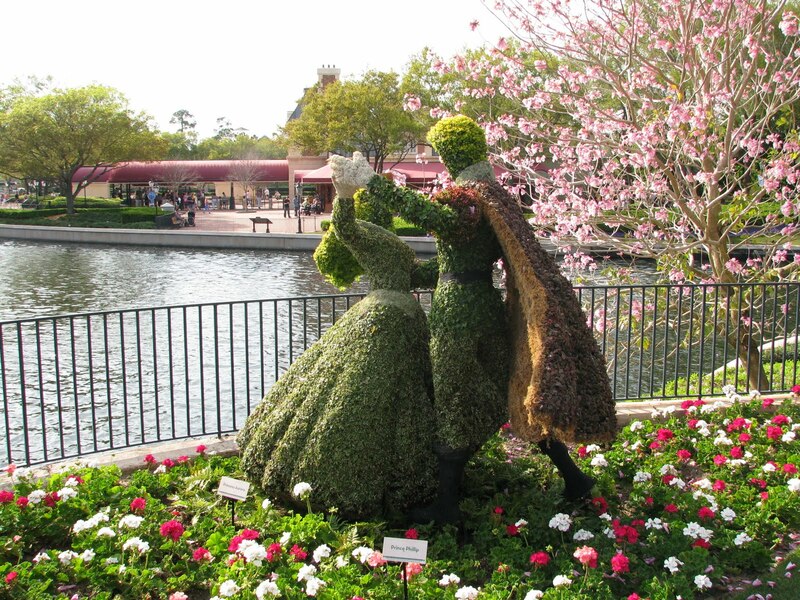 In the France Pavilion you will find this set of stunning topiaries that recreate Beauty and the Beast. 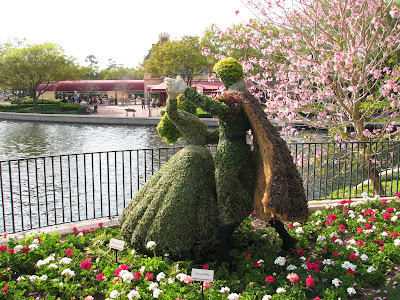 The topiaries of Princess Aurora and Prince Phillip are amazing as they are captured dancing near the bridge leading into the France Pavilion. 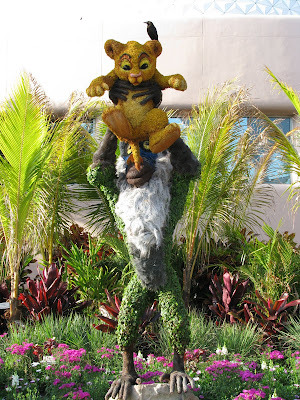 Here the classic scene from Lion King where Rafiki lifts the young Simba up to the sky is recreated in amazing detail. 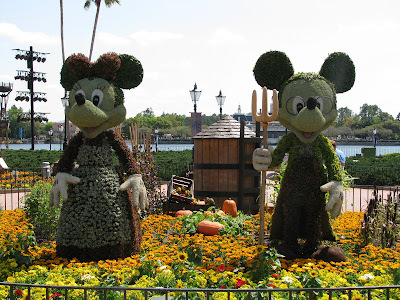 The Epcot Flower & Garden Festival again this year shows off the amazing talent of the Disney World Horticultural Staff. The topiaries, as you can see, are amazing in pictures and even better in person. The ones shown are but a taste of all the topiaries that are on display, in addition to the millions of blooming flowers from all of the gardens. This is certainly a Disney World Special Event that is worthwhile visiting. 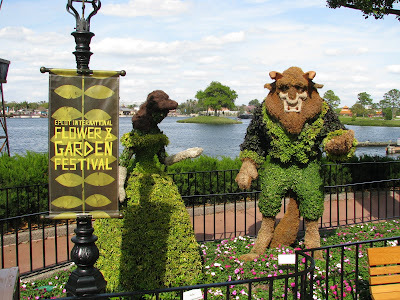 0 comments to "2010 Epcot Flower & Garden Festival: Topiary Pictures"